How to achieve Social Media Influence. Is it as easy As A–B-C? Life in an early stage or growth company can be hugely exciting. New product developments, new clients, new challenges and new team members can all provide a huge amount of energy and open new possibilities for a growing business. These growth stages are however often characterised by a lack of control and structure which can lead to miscommunication, missed opportunities or at worst the terminal failure of the business. While an overreliance on structures, rules and regulations can limit creativity and suffocate internal innovation, finding the right balance between structure and freedom for new companies can lead to greater clarity of thought for team members and ultimately better execution on ideas. Coming into the start-up world from a corporate background I was surprised by how little focus some start-ups put on getting the right internal structures in place. Without naively ignoring the need to keep the lights on at the earliest of stages of a business, I firmly believe that the medium-to-long term success of a company requires internal teams to have fundamental frameworks in place. There are many ways that a start-up can deliver on the promise of freedom within a framework but this article focuses on how Communication Clarity (i.e. Ways of working) can help a business achieve their goals. The ability to communicate clearly and concisely is critical in the world of business. At the early stages, business leaders need to be able to communicate effectively with potential investors, new suppliers, media contacts and potential clients but sometimes they are so busy making things happen that they overlook the most fundamental communication channel – internal teams. As the title suggests, this communication session takes place once a year. It is a great opportunity to get out of the office environment to a) look back on the year that was – celebrate successes in the previous year and learn from mistakes and b) look forward to the year ahead – map out the key priorities and opportunities for the business in the coming year. While a company’s vision should be articulated separately, the Annual Planning Session, also gives the team the ability to check in on the progress that the business is making towards achieving their longer-term goals. These out-of-office sessions, usually take a similar structure to the Annual Planning Session, in that they highlight successes and learnings from the previous three months and help to keep the team focused on the key targets for the upcoming quarter. Team involvement and delegation of responsibility as part of these reviews is important as it will help bring these sessions to life and empower the wider team to have tangible impacts on the business. It is also a great way for team members across the business to get a better idea about what other parts of the business are focused on. Independent of the bigger off-site sessions, it is vital that internal teams can get a sense of what is going on in the business on a more regular basis. This approach helps to reduce the disconnection that some individuals can experience when they are overly focused on their own roles. Weekly huddles can be a simple way to help your team reflect on the week that was and the week that is coming up. It sharpens the mind and ensures that small victories (e.g. new business wins, new product features) can be shared across the team and upcoming challenges can be resourced properly. These are simplest way to keep teams aligned and fully informed. First thing every morning (once initial coffees have settled in) everyone on the team, stands up and takes 10-15seconds to talk through / download their key priorities for the day. If someone has a lot going on, other team members will be aware and can offer support as needed. While not suitable for all organisations, this approach can help relevant start-ups deliver greater communication clarity within their business enhancing their ability to structure the unstructured. Lorcan Bannon is Head of Client strategy at Olytico, Ireland’s leading independent Social Media Monitoring agency where he leads Social Media Monitoring activities for brands like Heineken, Electric Ireland and Liberty Insurance. Prior to joining Olytico, Lorcan worked at Pernod Ricard as Senior Global Brand Manager for Jameson Whiskey working across multiple markets leading strategic digital marketing plans for key activation pillars. 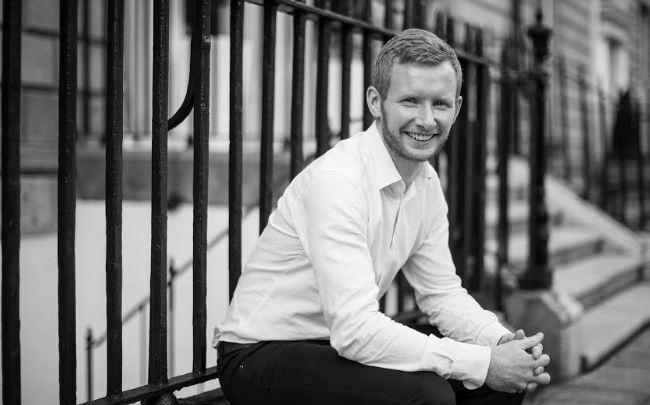 Lorcan holds an honours degree in International Commerce from UCD, an International Business Diploma from ICN Nancy, France, a Diploma in Digital Marketing and is currently serving as a council member of the Ireland China Business Association. Previous ArticleWhy Computer Science is an essential 21st century literacy skill for all students.